Last year, the talented and intelligent editor of Piecework Magazine, Jeane Hutchins, asked me if I would consider designing a pair of buff mittens in a child's size for the annual Historical Knitting Issue of Piecework Magazine. How could I say no? I have written about Buff Knitting here on the blog in the past (see here!) and also for Jeane's Knitting traditions magazine, and jumped at the chance to reinvent this shaggy mitten for a sweet little pair of hands. 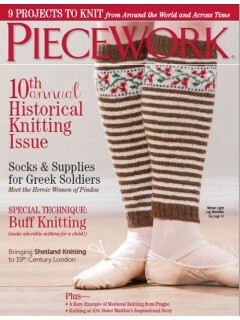 If you haven't yet received your copy of the current Piecework, I highly suggest picking up a copy. 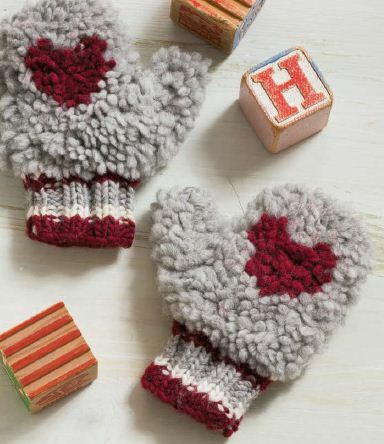 It is a lovely issue, perfect for deep winter knitting, including patterns for mittens, leg warmers, socks, and a winter coat for a child, to name a few. Accompanying articles about Shetland knitting, the Greek women of Pindos, and sister Matthia (an amazing cenenarian sock-knitting nun) will give a rich background of interest to the patterns themselves. I am honored to be a part of this issue! 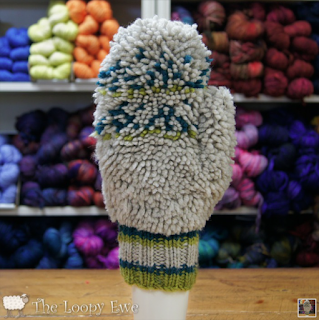 On a related note, I am thrilled to be teaching another variation of the Buff Mitten, my Timber Mitten pattern, at the Loopy Ewe's upcoming Spring Fling! This is just the kind of winter knit we have needed in Colorado this week!